Tweed cardigan from beige and blue houndstooth tweed with sandy beige satin collar and cuffs. 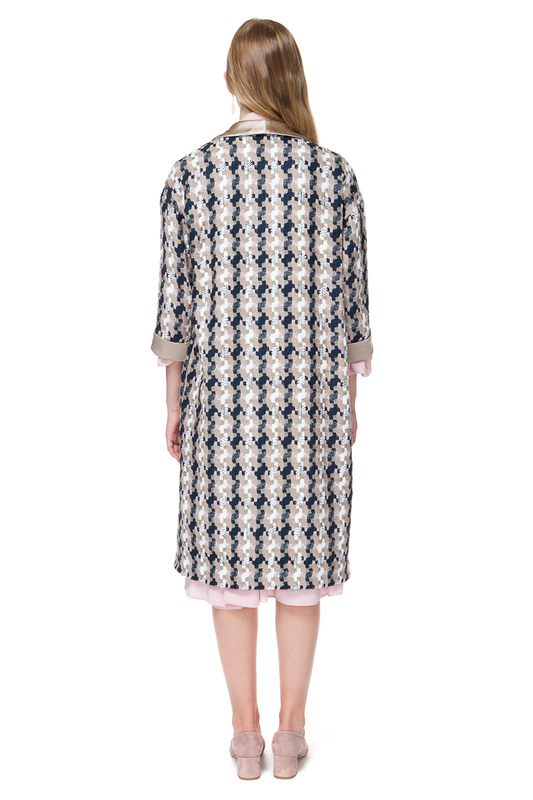 Cut for a relaxed fit, this longline cardigan coat will keep you warm during the chilly summer evenings. Layer over a simple dress or style with a blouse and tailored pants to run errands at weekdays and weekends.